For a quantum field theory it is essential to know the form of the beta function. The reason for this is that this function gives us immediately an understanding on how the theory will behave in different regimes of the energy range. Currently, there is a lot of activity to obtain the full beta function of QCD, the theory of quarks and gluons. The reason for this is that we want to understand the behavior of this theory when the energy becomes lower while we know that at higher energy asymptotic freedom sets in moving the coupling toward zero so that perturbation theory applies. QCD appears as the perfect theory. Indeed, in this case we have no Landau pole or, possibly, no triviality at lower energies and so this appears as the only example in physics of a theory that holds on the full range of energy. I have read three papers about this matter recently (see here, here and here) and all of them give a clear insight about the question of the beta function for Yang-Mills theory and QCD. As my readers know, lattice computations for a pure Yang-Mills theory show clearly that the running coupling goes to zero at lower energies so one may ask if the same can happen when quarks are involved. where, apart for some costants here and there, is the number of quark flavors. So, we immediately realize that supersymmetric QCD can develop a fixed point in the infrared limit even if supersymmetric Yang-Mills theory has none! Sannino and Ryttov have been inspired by this beautiful result and proposed a similar beta function for ordinary QCD and the conclusion is the same: Even if Yang-Mills theory has no fixed point in the infrared, QCD has one due to the presence of quarks. So far, lattice computations for fully QCD confirm this scenario and we can be confident that this theory is the most beautiful one being meaningful for all the energy range. I would like to add a final comment by noting that Ryttov and Sannino give for Yang-Mills theory in the infrared the same functional form I have got in my latest paper (see here) and that agrees with lattice results. The picture of low-energy QCD is slowly emerging providing to us quite unexpected results and a deeper comprehension of the world as we perceive it. and this equation is exactly solved in a closed form, provided the fermion has exactly the same mass of the boson, that is . So, we see that the massless fermion acquires mass too but it must be degenerate with respect to the bosonic field. This would imply that one needs a different scalar field for each fermion and such bosons would have the same masses of the fermions. This is exactly what happens in a supersymmetric theory but the theory we are considering is not. So, it would be interesting to reconsider all this with supersymmetry, surely something to do in the near future. This means that Higgs mechanism is essential yet in the Standard Model to understand how to achieve a finite mass for all particles in the theory. We will see in the future what Nature reserved us about. 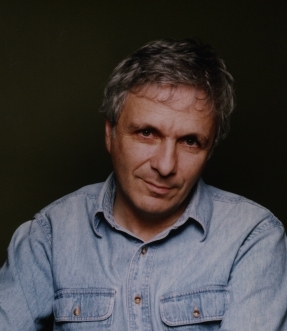 Michael Green is the new Lucasian Professor (see here). Best congratulations to a really worthy appointment and wishes for future success to Professor Green. Green is a string theorist famous for being one of the authors of the first string revolution. He was already full professor at Cambridge University and represents a perfect choice as Hawking’s successor. There are some physicists that, besides having produced exceptional results, can also give a track to follow for future generations. 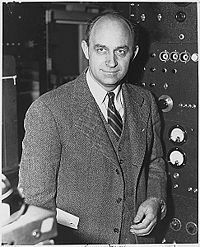 It goes without saying that Enrico Fermi and Richard Feynman are two of these. I am remembering them here because of a couple of quotes to be worthwhile to cite, being complementary each other in some way. No answer is known yet to these deep questions. Meanwhile, I think it is wise to read classic papers these two authors produced. 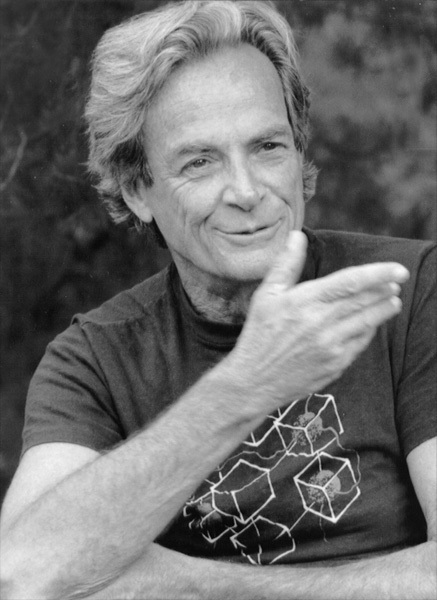 When you are tired to see how these guys changed our understanding of the World, you can always turn to “Surely you’re joking, Mr. Feynman” to get a moment of humor. X(3872) is a resonance observed a few years ago at Belle and Tevatron and what hit immediately physicists imagination was that it has roughly two times the mass of meson. This would imply that it could be a neat example of hadron molecule being a combination of two couples of quarks. As you may know, there is a lot of activity in QCD to understand if tetraquarks exist or not and notable physicists are involved in this quest. Several proposals emerged showing how tetraquarks can be the answer to the spectrum of light unflavored mesons. X(3872) could be a particular tetraquark state with diquarks combining with a very low binding energy (about 0.25 MeV) forming a molecule. Whatever its nature, this resonance appears quite exotic indeed. 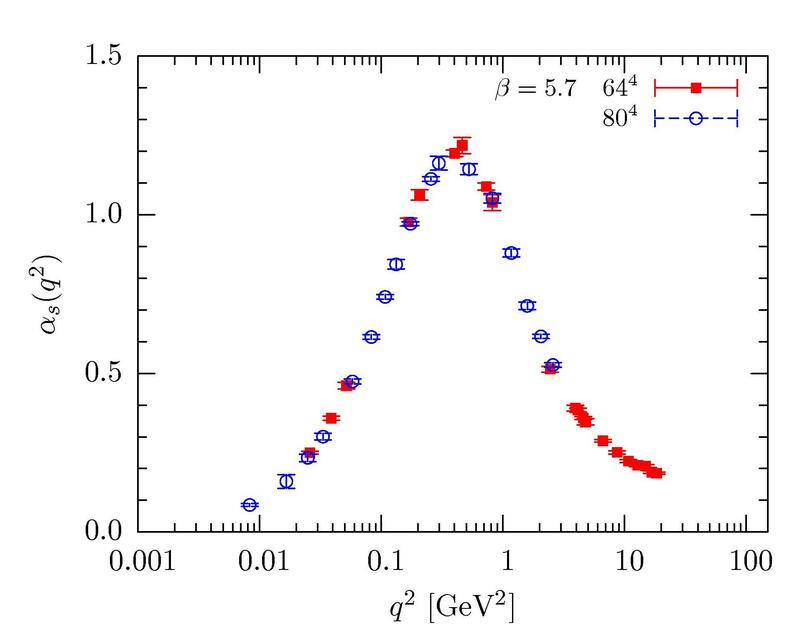 But a recent paper (see here) sheds some light about what this particle cannot be. The authors derive some bounds on the production cross section of it showing that is not plausible to consider this particle as a diquark state. They carry on simulations of production of the resonance proving that is unlikely the formation in S-wave of a molecular state. The paper appeared in this days in Physical Review Letters (see here). The interest arisen on this particle at the time makes important this article giving a significant clarification about the direction to take to have an understanding of its very nature. So far, I have posted several posts in this blog about the question of classical solutions to Yang-Mills equations. This has produced some fuzz, mostly arisen from my published papers, as to such solutions may not be correct. Thanks to a wise intervention of Terry Tao, I was able to give a complete understanding of my solutions and a theorem was fully proved in a recent paper of mine to appear in Modern Physics Letters A (see here), agreed with Terry in a private communication. So, I think it is time to give a description of this result here as it appears really interesting showing how, already at a classical level, this theory can display massive solutions and a mass gap is already seen in this case. Then, it takes a really small step to get the corresponding proof in quantum field theory. and we see that, although we started with a massless field, self-interaction provided us massive solutions! Here is a set of constants arising with the Smilga’s choice. This theorem has the following implications: Firstly, when the coupling become increasingly large, a massless scalar field theory and Yang-Mills theory can be mapped each other. Secondly, already at the classical level, for a coupling large enough, a Yang-Mills theory gets massive solutions. We can see here that a mass gap arises already at a classical level for these theories. Finally, we emphasize that the above mapping appears to hold only in a strong coupling regime while, on the other side, these theories manifest different behaviors. Indeed, we know that Yang-Mills theory has asymptotic freedom while the scalar theory has not. The mapping theorem just mirrors this situation. We note that these solutions are wave-like ones and describe free massive excitations. This means that these classical theories have to be considered trivial in some sense as these solutions seem to behave in the same way as the plane waves of a free theory. One can build a quantum field theory on these classical solutions obtaining a theory manifesting a mass gap in some limit. This is has been done in several papers of mine and I will not repeat these arguments here. You are currently browsing the The Gauge Connection blog archives for October, 2009.